For you home, workplace or business premise, safety and security is paramount and it definitely means that the security system you choose must be a reliable system. It must be designed for addressing specific security issues, it must operate flawlessly and it must be durable. At Serious CCTV, we have come to appreciate the importance of reliability of our security systems especially our wired alarm system. However, it doesn’t really matter whether you opt for a wired or wireless alarm system because with us, the systems we store and supply are equally reliable. It would be unforgivable if a faulty alarm system was used and fails to detect and sound the alarm to warn of an unwelcomed intrusion. Many home owners have suffered the humiliation and indignation of having their home broken into and burglarized because their alarm system failed to function properly. For comparison we make sure our wired alarms perform perfectly to keep the prized possession of our clients intact. We check and double check their functionality before we part with them and check them again after installing them in our home. We leave nothing to chance. Want a wired or wireless alarm system? Many home owners find it a daunting task to identify and select the right type of alarm system most suitable for their security. Our professionals at SeriousCCTV are experts at assisting you identify and choose the most effective alarm system for your house. These days, because of the great strides in tech know how, there’s very little difference in the effectiveness and flaw free operation of a wired or wireless system and we have both types in store for you. Both systems are ideal for your security if you prefer an alarm system. Installing a wired alarm system in your house is not a task for unqualified amateurs and it’s certainly not a DIY caper. It is a serious undertaking that requires many years of groundwork in amassing experience and expertise in all aspects of the work. Our professionals can take a tour of your premise and recommend the exact system you need on the spot. They will go along with you and help identify what they deem the best for your security needs and will go back with you to your house and install the system for your perfect security. 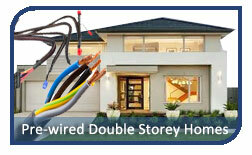 Installing a wired alarm system in your home is a job for our extremely competent. 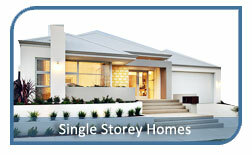 Ring us now on (02) 8091 1989 for our free quote and let our experts render your home burglar proof.